Grandma always picks flowers in the early morning before everything wilts in the heat of the summer day. The bouquet sits beside the sink… so cheerful! 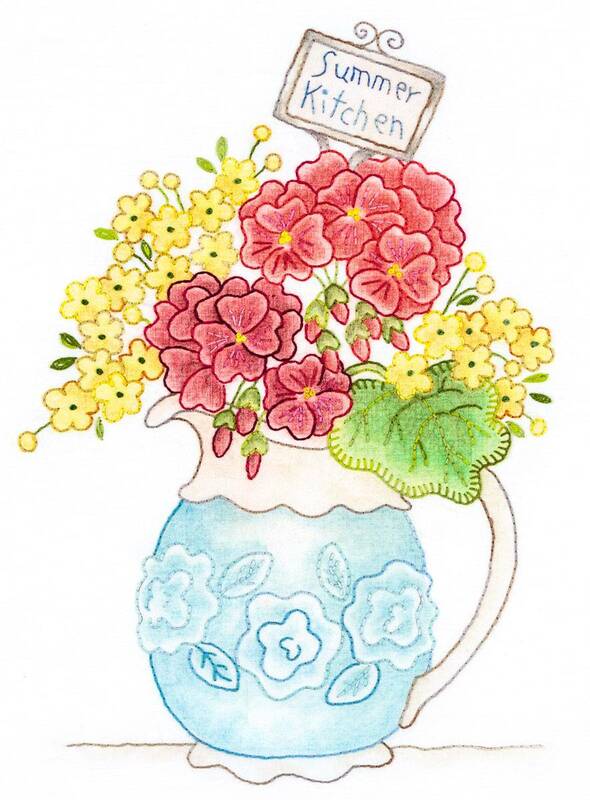 Today it’s filling the kitchen with the spicy scent of geraniums! Design is hand embroidered and colored pencil tinted. Image measures approximately 6 1/4” x 8 3/4”.